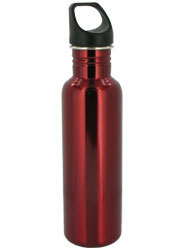 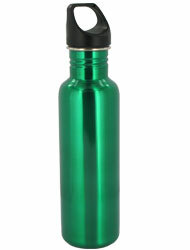 The Excursion Stainless Steel water bottle is a 26oz steel bottle that is reusable, lightweight and risk free. 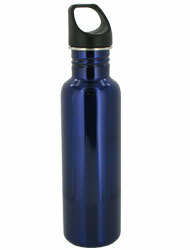 The stainless steel has excellent resistances to stains or rust which makes them easy to clean, durable, and sanitary. 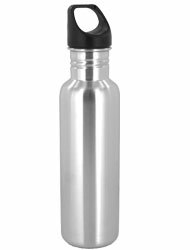 The Stainless Steel Water Bottle comes with a polypropylene plastic loop cap which makes it easy to carry around.